You need to do some exercise to remain healthy and fit. Those who want to lose weight also must do some sort of physical activity. Walking is one of the easiest ways to exercise your body and it is also economical as no expenditure is involved in this exercise. It is suitable for people of all age groups. Walking daily is an effective way to lose weight. So, this is why Doctors always advise their patients to walk at least 30 to 1 hour daily to keep fit as it is easy to be incorporated in your daily life. Walking has lots of benefits, so put your best foot forward always! A good walk is beneficial for those who are going to start a workout. Walk for an hour daily and this combined with a healthy diet will help you cut down the extra flab from your body. The calories burnt depend on the speed with which you are waling to complete a certain distance. People going for a morning walk benefit a lot and remain healthy with well toned body. Walking is an excellent physical exercise and also very economical. You can do it anywhere and at any time you please. Although it is adivsed to do walking outside, you can also do it inside your home on a treadmill. Walking keeps your muscles, bones and joints in good condition and helps in strengthening the muscles of your legs. Patients suffering from breast cancer benefit a lot by walking at least 30 to 40 minutes daily. According to the opinion of scientists, walking daily for about 40 minutes helps you to survive longer than those who are inactive. Walking is very effective for reducing the risk of breast cancer in women. This is because walking changes the ratio of estrogen metabolites and thus it becomes a hard task for breast cancer to overpower you. Due to an increase in the blood circulation when you walk, all metabolic activities are improved. By going for a brisk walk, you can elevate your mood, become more energetic, and keep your blood pressure as well as cholesterol within normal range. Walking is also one of the best ways to get rid of depression. Diabetic patients are greatly benefited by walking. Walking can keep a control over your body weight, which is one of the main reasons for diabetes to occur. 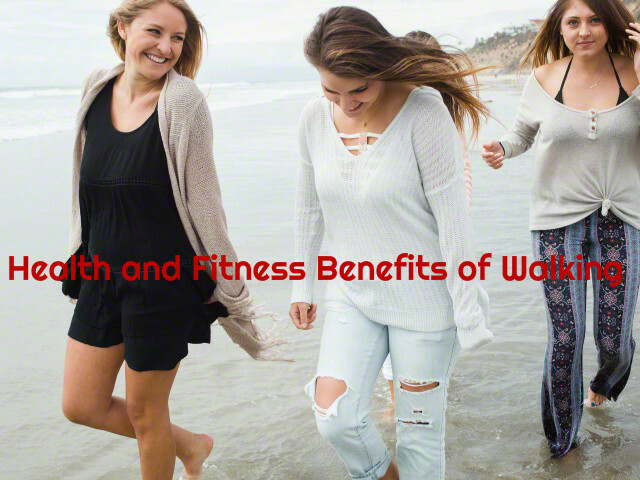 Walking also utilizes the insulin in your body, which helps in keeping a control on the levels of blood sugar in your body. This in turn helps in controlling diabetes and also reduces the risk of getting this disease. So, walk daily to get relief from this disease. If you are not a diabetic patient, walking can help you reduce the risk of getting this disease. Walking regularly is an easy way to have a strong body. Walking just half an hour daily is enough to feel the difference in your body. It is also an effective way to have a healthy mind. It is easy to do and is considered as one of the most effective aerobic exercises, with lots of benefits for the body. By walking 40 to 45 minutes you can keep check on various heart diseases and have a healthy heart. This is because when you walk, the heart rate is increased and the heart becomes stronger. This leads to better circulation of blood in the body and thus provides you a healthy heart. Cholesterol level is also reduced by walking, and this reduces the risks of cardiovascular problems. Osteoarthritis, which is a disease that you get when you age, is delayed by walking daily. As a result, you will live longer. It is believed that if you walk 30 minutes per day, it will add about 1.4 years to your life. You can prevent various diseases by walking, which can make you healthy and help you live longer. When you walk during pregnancy, the fatigue and the risks of gestational diabetes are reduced to a great extent. 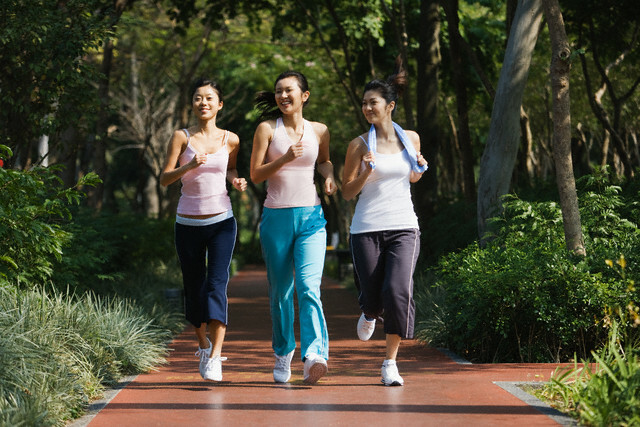 Walking is also good for reducing the hormonal fluctuations which can cause uterine contractions. This helps in preventing miscarriage. Dementia is a disease that affects the functioning of your brain, language, memory and attention power. It is very common, especially in elderly people. By walking daily you can reduce this problem by about 54%. Walking regularly increases the circulation of blood in your body and also increases the supply of oxygen to every part of the body. This helps in providing more energy to your body. It is also said to help you get over depression. So walk daily and reduce your stress and anxiety. Walking enhances the blood circulation and thus is excellent for preventing heart diseases. It is also good for improving the bone density and thus reduces the risks of osteoporosis and other such problems of the bones. You can also lower the risks of diabetes, colon cancer and cancer of the breast by walking daily. So, walk daily to keep your body safe from various diseases. Walking is as good as aerobic exercises to get relief from stress and make your nerves calm. This is because walking helps in releasing the hormone endorphin which can make you feel relaxed. We all wish to have a well toned body. Walking regularly is an effective way to get toned legs, tummy and bum. Walking tones-up the muscles of your calves, buttocks and quads. So start walking daily for 30 minutes form today itself. Walking combined with a healthy diet helps you to control weight. According to research made by scientists, even if you do not change your diet plans, you can still lose weight and remain fit by walking for at least 45 minutes every day. When you walk, the heart rate is increased and this helps in burning calories and losing the extra pounds that you have gained. So, walk for 30 to 40 minutes per day and maintain your weight.